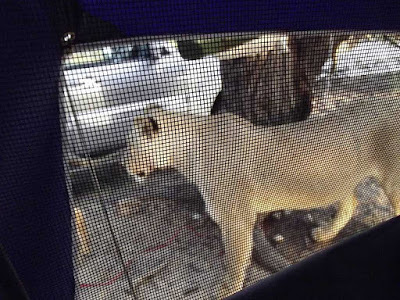 Campers on safari woke to discover a group of thirsty lionesses licking accumulated drops of water from the outside of their tent. A video by Francie Francisca Lubba captured the close encounter at the Kgalagadi Transfrontier Park which straddles the Botswana-South Africa border. YouTube link. 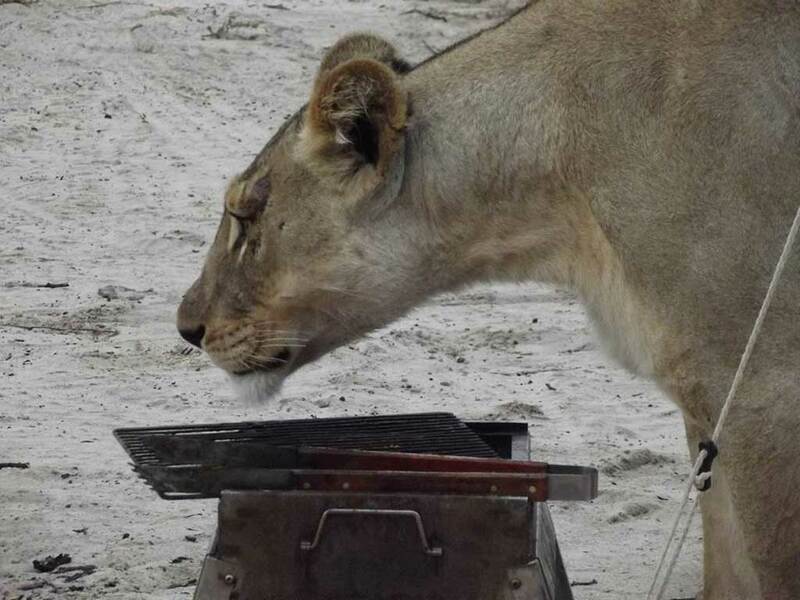 Francie Francisca Lubbe's original Facebook video. 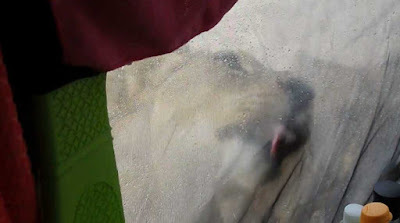 It shows the lionesses licking raindrops from the outside of a couple’s shelter as the humans huddled inside, trying their best to stay quiet as the wildcats went about their business. 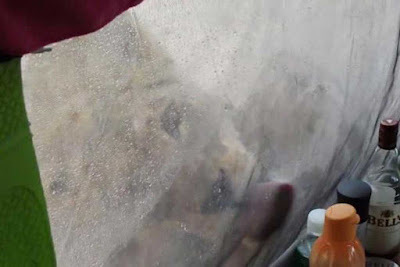 “What a privilege,” Lubba said on Facebook. 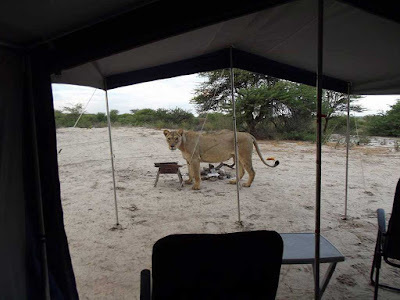 “It rained during the night and three lioness [were] licking the water from the tent.” Ms Lubba also posted photos revealing how the large animals also prowled around the campsite during the close encounter.